Recap: We will be creating an autonomous system that combines the aquaponics and biogas unit at Middlebrook Garden in San Jose, California. Our project planning is finished; our design is complete and the assembly is 75% finished. Last semester, an automated waste delivery setup within a container was constructed as well as the majority of the piping system. 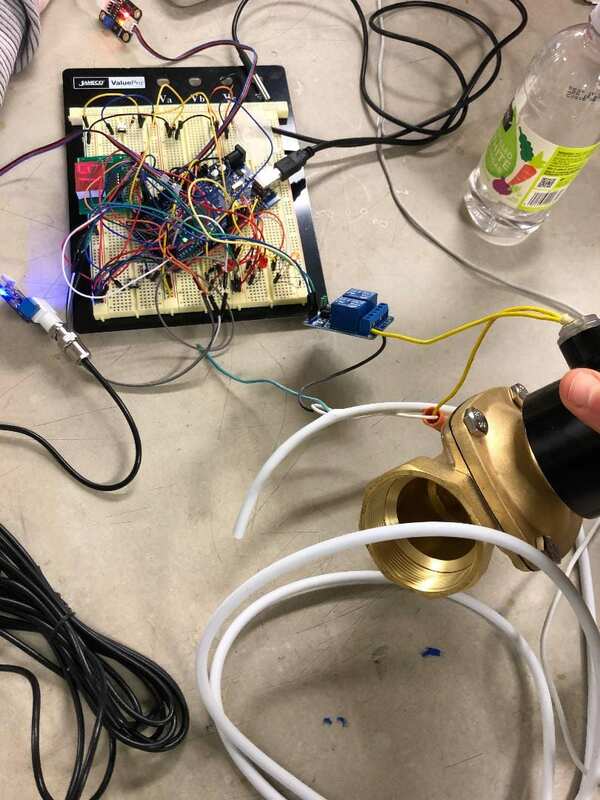 The next steps will be to build and test the barrel setup with the solenoid valve; replace the current setup and install our prototype; analyze and store data recorded by turbidity, temperature, and PH sensors to refine our design. Goals: Our goals for this semester include: completion of the assembly, installation at Middlebrook Garden, and subsequent testing and tuning of the system. We will also incorporate educational posters and activities at Middlebrook Garden to encourage the public to learn more about what we have installed. This semester is off to a good start! We are carrying the momentum from the end of the previous semester to hit the ground running. At the end of last semester the waste container was outfitted with a dual pipe drain on the bottom side. The wiring of the turbidity sensor, pH meter, thermometer, and solenoid valve were also completed. Both of these accomplishments can be observed in the pictures below. The rest of the piping network will be completed at Middlebrook Garden. In the past week we have created a detailed semester plan, listing out each task that needs to be completed in order to finish our project. Our plan contains four sections: electronic setup, tank setup, data collection, and educational outcome. Within each of these sections we have several tasks that need to be completed, each with an estimate of how long it will take. For electronic setup, the main goal is to create an electronic display so we, and the public, can easily see the readings from our sensor. As seen in the previous picture, the wiring is a little bit chaotic right now, and the design is not waterproof. For the tank setup, we will need to conduct leak tests and pressure tests to make sure we don’t run into problems after installment. 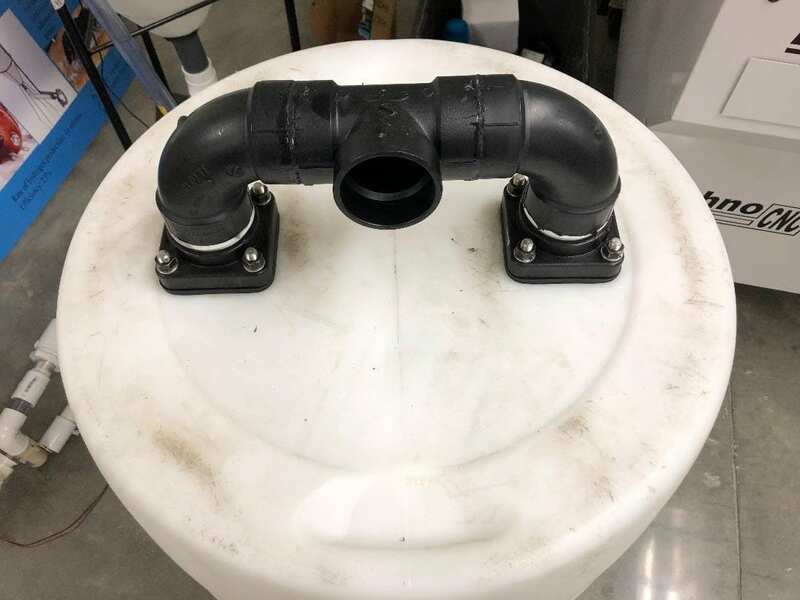 We will also need to create a stand for the barrel that will allow easy access to the bottom of the waste container where the valves are located. Once the tank and piping has been installed, we will then be able to begin testing. The testing will consist of flow rates of the waste container, turbidity measurements, and several temperature tests. Our final step is to create educational posters and activities that will allow the public to gain a better understanding of what our project is and how it works. We also have created a rough draft of a project poster that we will present at the EPICS IEEE gathering on February 18th. This is an expo that allows the EPICS program show off what projects we have been working on all year. Stay tuned for more project updates as we begin installation! !